An elegant Picket Fence surround will set off your garden but also secure the area for your children to play in. 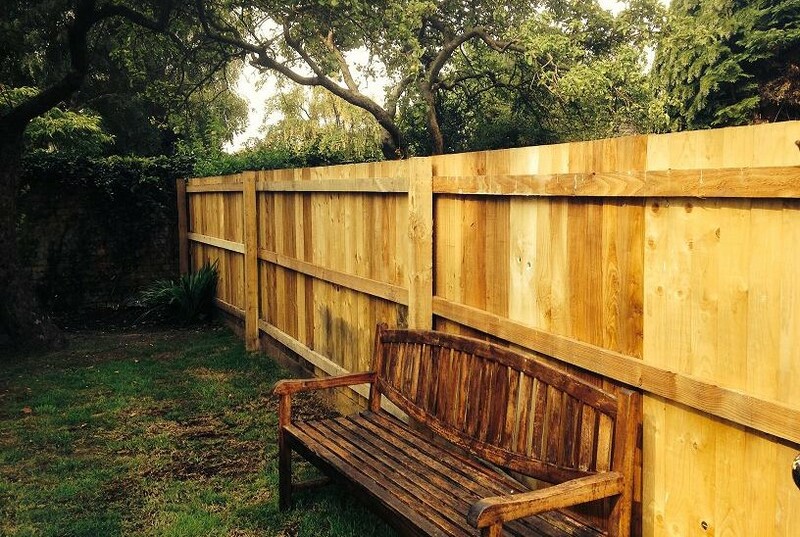 Wooden picket fencing solutions come in many different styles, wood types and finishes. If you are looking for a hard wood with a subtle colour or a painted options then we can source and install just about any requirement to suit. A Timber Palisade style fence is commonly used as perimeter fencing to section off all sorts of areas aside from residential properties. Panel systems with concrete posts which slot in between prefabricated wooden panels can provide a sturdier and more robust solution for non residential installations and can be more economic for commercial jobs because of the reduction in installation time. Close Board Fencing provides a truly secure and private environment for your rear garden areas. Leave your children to play safely in a private and enclosed garden if they are old enough to play safely without adult supervision. With no gaps between pales and many systems available including pressure treated fencing boards. close board fencing is one of the most popular and economical choices over and above the less durable and generally cheaper looking style of overlap fencing panels and posts. 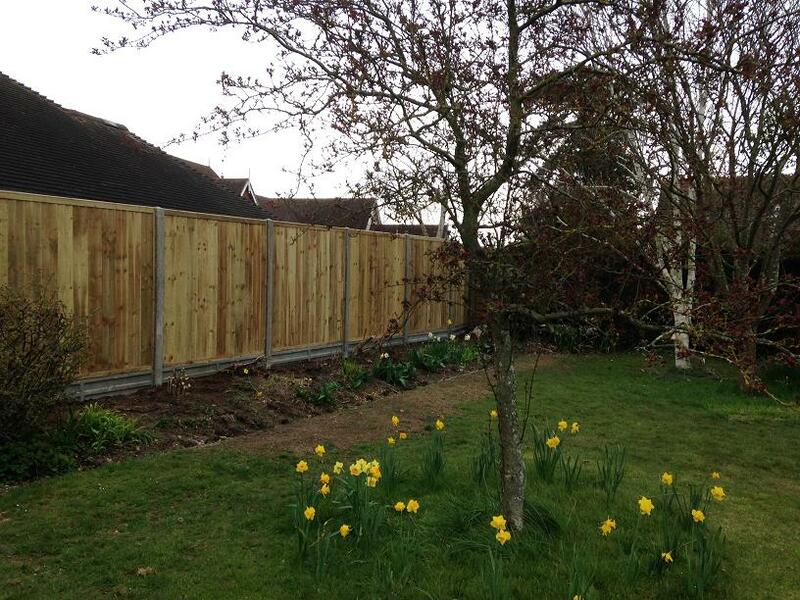 Close Board Fencing can be installed with wooden mortice posts and arris rails, cant rails and blank posts or concrete posts with gravel boards. Also sometimes referred to as featheredged or feather-edged fencing, this solid garden fencing option comes in several heights and can also be finished with top rail.The standard residential option for full privacy as shown to the left is usually around 1800mm. Various other styles of fencing are available for the garden area include iron vertical bar fences which can again come in many styles. 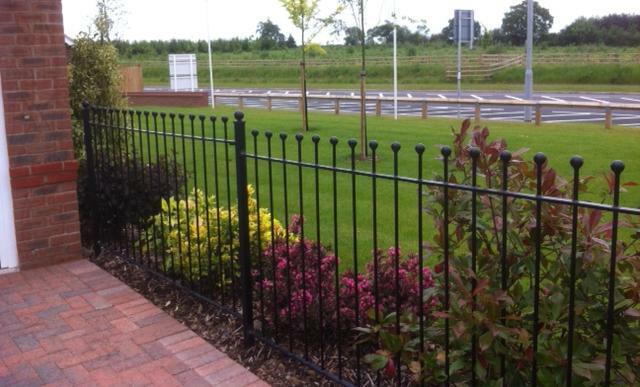 Palisade iron bar fencing is probably the most typical to be found used and is most commonly found in front garden areas to enclose an otherwise open area. Vertical bar fencing is also used for gated properties which may also be part walled, where the comination of a low brick wall with vertical bar ‘cranked’ atop gives that added feeling of security without excluding natural light from the entrance areas and plant life to the exterior of the front of your home. "Privacy by Day... Protection by Night"